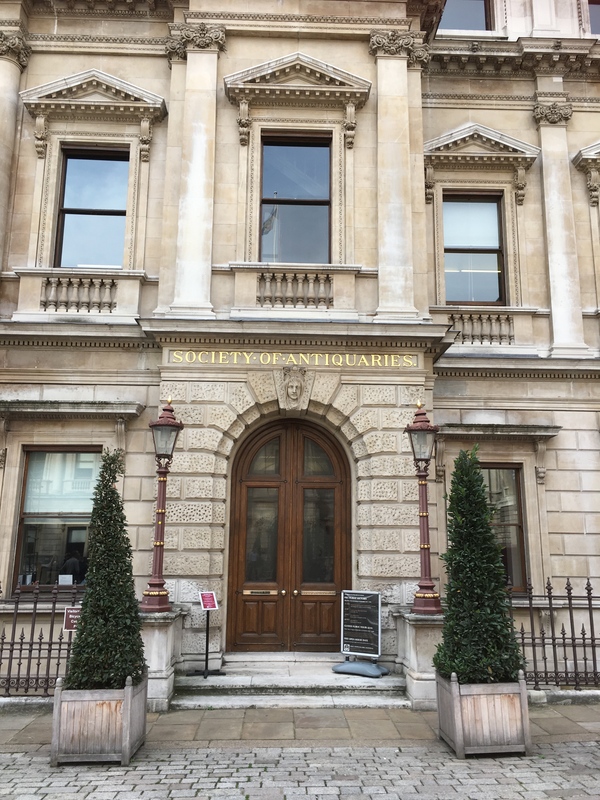 The Library of the British Society of Master Glass Painters is located within the Library of the Society of Antiquaries of London at Burlington House, Piccadilly, London, W1J 0BE. This is next to the Royal Academy, roughly mid-way between Piccadilly and Green Park Underground stations (Piccadilly, Bakerloo, Victoria and Jubilee Lines). We have just under 300 volumes on stained glass which are available for reference by BSMGP members. In addition, the Society of Antiquaries Library and Reading Room contain many related volumes. British Society of Master Glass Painters members may use the Society of Antiquaries Library for reference, preferably by appointment through their Head of Library and Collections (Tel. 020 7479 7084), or see these details on the SAL website. Please bring your British Society of Master Glass Painters membership card with you. The Library is open from 10 am to 5 pm, Monday to Wednesday and Friday; use of the Library on Thursdays is restricted to Fellows of the Society of Antiquaries. The premises are usually closed on public holidays, during August, and between Christmas and New Year. Details of closures will be found on the SAL website. On arrival, British Society of Master Glass Painters members will need to present their membership cards and sign in. The British Society of Master Glass Painters Library is on closed access and Society of Antiquaries Library staff will bring the requested books to the Library study area. Books may not be taken out of the Library. A staffed photocopying service for Library materials is available, subject to copyright and provided there is no risk of damage to the book. Researchers may use digital cameras to make copies for their personal use. Flash photography is not allowed. Photocopy requests and photography permissions should be addressed to the Society of Antiquaries Library staff. Photograph of Reading Room, Library of Society of Antiquaries of London, reproduced by kind permission.